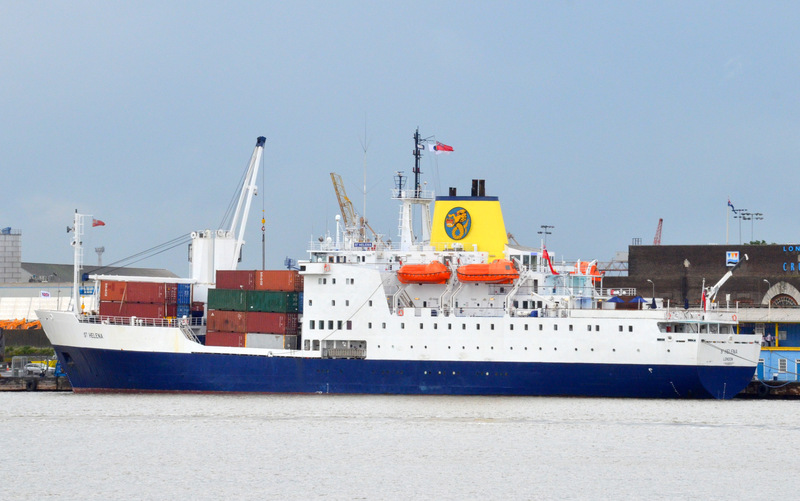 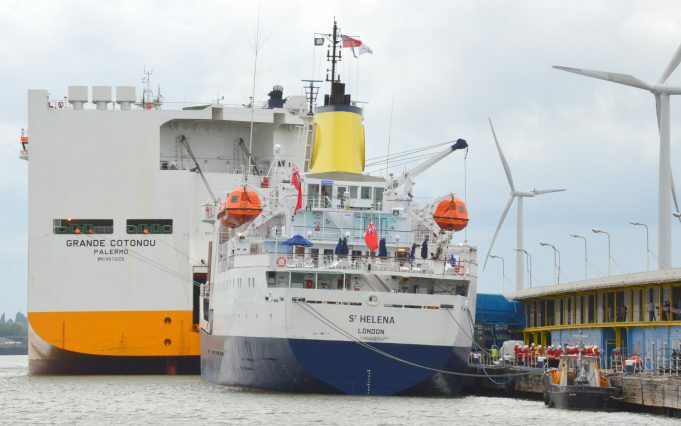 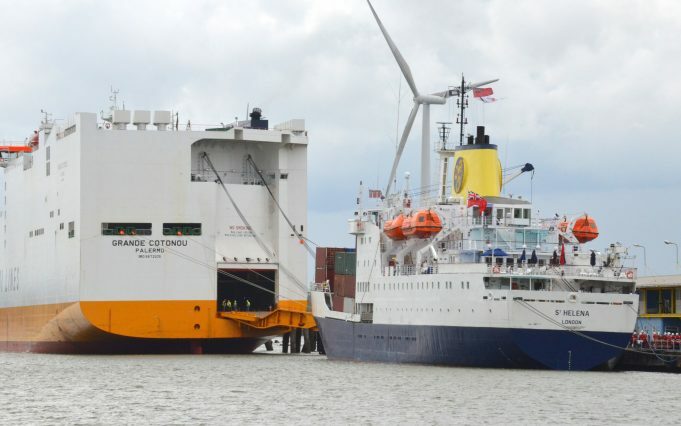 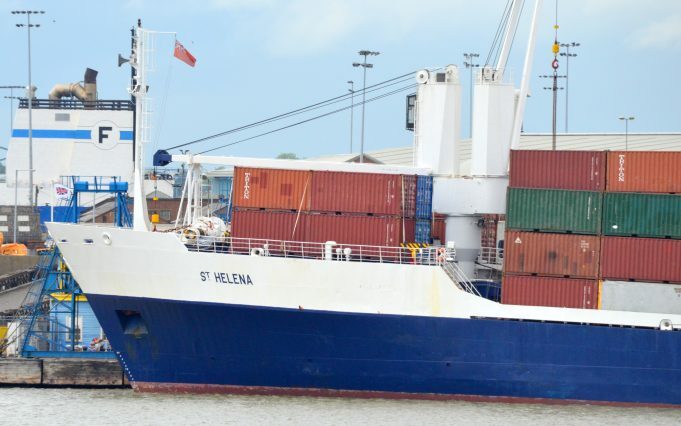 The vessel ST HELENA on Tilbury Landing Stage on 14/6/2016. 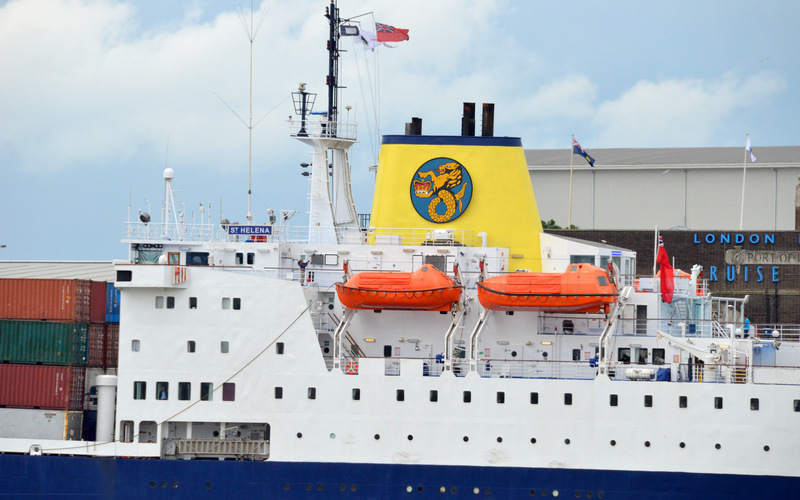 She was built in 1990. She can have up to 128 passengers with 56 officers and crew. As can be seen, she also loads containers on her for deck- up to 1800 tons of cargo.